The Pacific Northwest’s vulnerability to a life-threatening massive earthquake shook into the public imagination in 2015 when a story in the New Yorker noted that the region was unprepared for a major rupture of the Cascadia Subduction Zone. Where are things now? That’s to be the focus for a film screening and panel discussion Saturday, Jan. 26, at the University of Oregon’s Museum of Natural and Cultural History. The two-hour event, “The Big One: Get Ready for Oregon's Next Mega Earthquake,” will begin at 2 p.m. Admission is free. Then on Tuesday, Jan. 29, UO employees and students can attend a free one-hour class for a brief overview on the types of earthquakes, general preparedness steps including an emergency supply checklist and UO planning measures. It will be held at 2 p.m. in the Diamond Lake Room on the first floor of the Erb Memorial Union; registration is through MyTrack. Jan. 26 is the 319th anniversary of the last full rupture of Cascadia, which stretches for 700 miles along the coast from Northern California to British Columbia. While experts cannot predict when the next big one will occur, they have said the region is overdue. In an effort to encourage planning for resilience, Eugene Mayor Lucy Vinis in November declared the date as Cascadia Earthquake Awareness Day. The museum's event is being held in coordination with Cascadia Prepared, a Eugene-based nonprofit organization dedicated to helping residents, businesses and emergency managers improve their disaster resilience throughout the Cascadia region. The event will begin with a showing of Oregon Public Broadcasting’s documentary “Unprepared,” which will be introduced by the production’s executive producer, Ed Jahn. After the screening, a panel of experts, including Jahn and Cascadia Prepared President Steve Robinson, will discuss the documentary and threats posed by Cascadia. Other panel members will be Doug Toomey, a UO seismologist and leader of the Oregon component of ShakeAlert; Yumei Wang, a geotechnical engineer in the Portland office of the Oregon Department of Geology and Mineral Industries; and Kevin Holman, manager of Eugene’s emergency management program. The panel will be moderated by the UO’s Josh Bruce, director of the Oregon Partnership for Disaster Resilience. Before the screening, visitors are invited to a 1 p.m. guided tour through the museum’s exhibit halls. 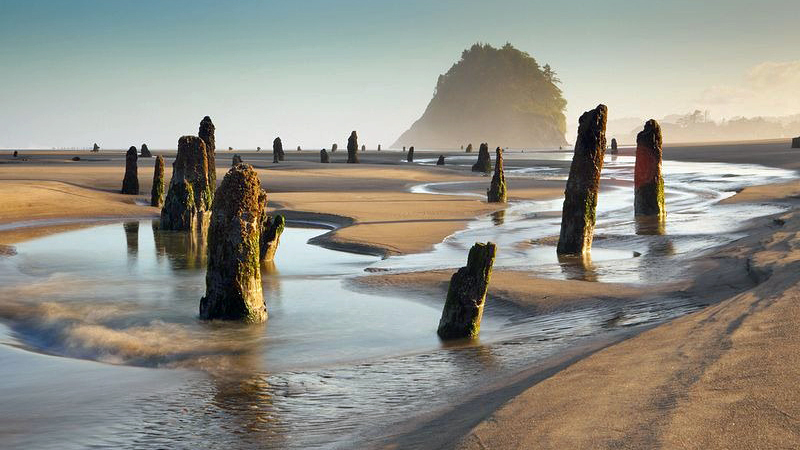 The docent-led tour will focus on plate tectonics in the Pacific Northwest. Visitors also can view “Survival Architecture and the Art of Resilience,” a traveling exhibit that opened Dec. 1 and explores new housing, shelter and other designs that may help communities survive and thrive in a changing climate.